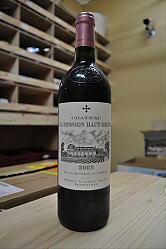 Like a lot of wines in this underrated vintage, the 2008 La Mission was one of the great bargains of recent vintages. Its healthy blue/purple color is followed by aromas of blueberries, black raspberries, licorice, truffles, underbrush and forest floor. The scorched earthy/smoky character of this estate’s terroir has not yet emerged. Medium to full-bodied and concentrated with good acidity, freshness and delineation, this is a big wine for the vintage, but also very classic in its balance of tannin, acidity and extract. It will benefit from another 5-7 years of cellaring and should keep for three decades. The final blend was 51% Cabernet Sauvignon, 43% Merlot and 6% Cabernet Franc. 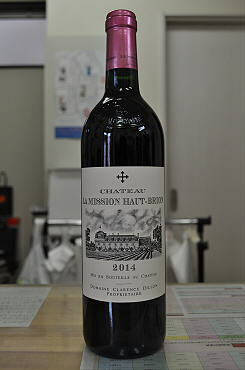 Another stunning effort that performs even better out of bottle than it did from barrel, the 2008 La Chapelle de la Mission is a blend of 56% Cabernet Sauvignon, 39% Merlot and 5% Cabernet Franc. Aromas of scorched earth, blueberries and black currants, a juicy, savory, broad mouthfeel and powerful flavors are velvety as well as opulent. Enjoy this 2008 over the next 12-15 years. 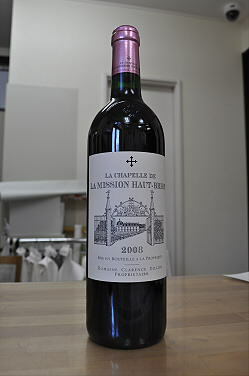 A noteworthy effort and a sleeper of the vintage, the 2005 La Chapelle de la Mission (2,000 cases produced) exhibits elegant plum, black cherry, and mulberry fruit characteristics intermixed with earth, herbs, and spice. This dark ruby/purple-tinged, supple second wine is made in the style of its bigger sibling. Anticipated maturity: 2008-2016.